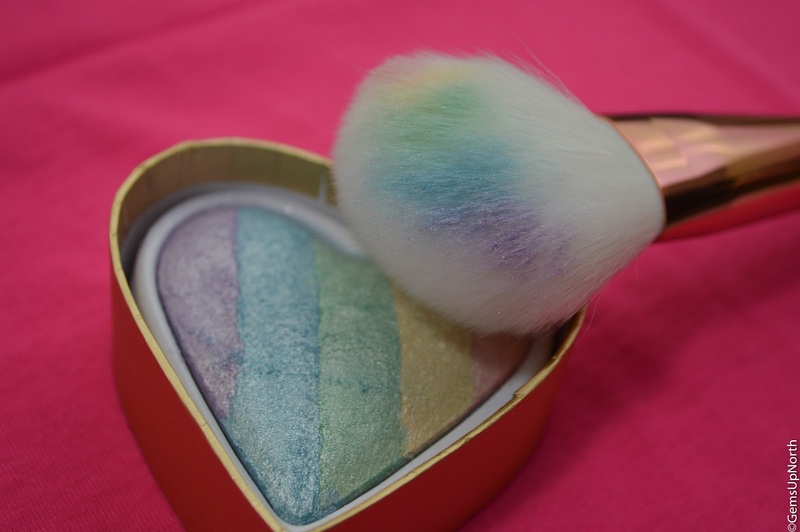 Makeup Revolution are consistently launching new items that everyone can't get enough off; including the new Unicorn Heart! Of course being unicorn themed, rainbow shades and a highly pigmented highlighter I had to pick this up. 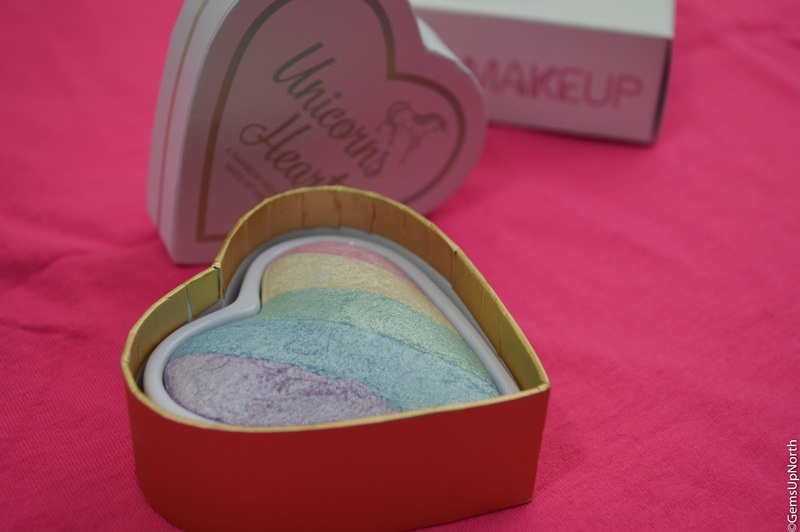 The Unicorn Heart is part of MUR's I Heart Makeup's range of heart blushes, bronzers and highlighters; they are bit of a dupe of the Too Faced hearts but more affordable. I'd been waiting for the Unicorn Heart to be available in Superdrug; I've been checking each of my local stores whenever I could. A few weeks ago Superdrug and MUR announced on socials that it had been restocked so I went straight onto Superdrug's website and ordered one for next day collection. My order was ready to collect by 11am the next day (Health&Beauty Card holders get free next day in-store collection), it was a very quick and safe delivery; excellent service from Superdrug here. The Unicorn Heart has white and gold packaging with iridescent text on the lid. It's already beautiful before opening it, under the heart shaped lid is the rainbow coloured product. There are 5 shades in strips within the heart including lavender, blue, yellow, pink and green. 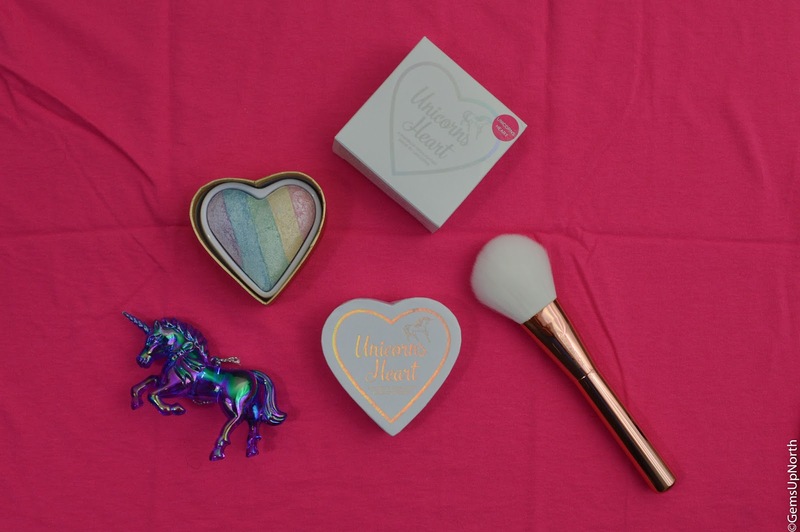 All of which can be used separately using a small brush or your fingertip or go wild and use them altogether with a large fan brush to create the most unicorn themed glow! The highlighter is heavily pigmented which is what I'd expect from MUR, my other product from the heart range is good quality too. Only a little product is needed to add a glow to my cheekbones and you can build up the highlighter for more extreme looks. I've been wearing this on my upper cheeks, on my shoulders if I've worn a dress and experimenting with the separate shades. 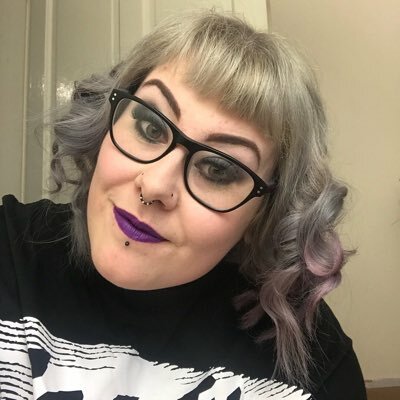 My favourite shades in the heart are the blue and lavender, both are such different colours for a highlighter however there are now more and more shades popping up in the makeup world. As well as highlighting I've used this heart to add sparkle and glow to my eyes by applying the product over eyeshadow primer and to the inner corner of my eyes when I'm wearing other shades. Even on my eyes the unicorn heart has amazing staying power and only a small amount of product is needed. I have swatched each of the shades separately on my arm and used a brush to mix the colours as well so you can see the effect it gives you. 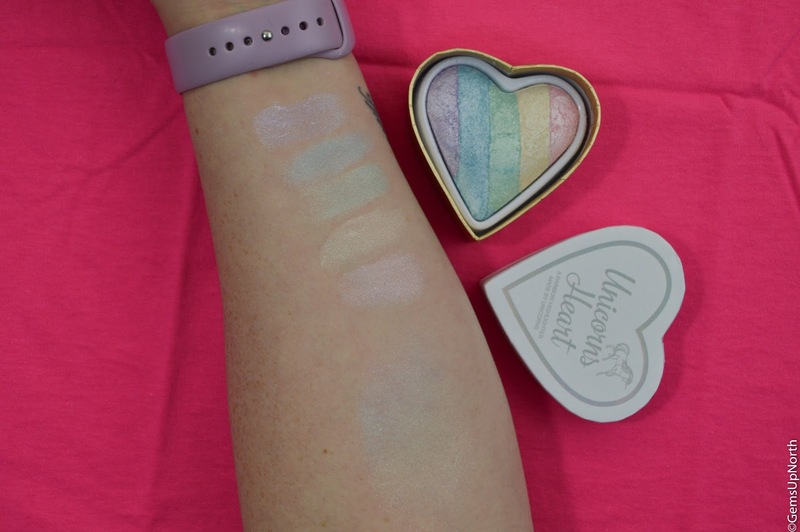 After longing for the Unicorn Heart since it launched, I patiently waited for it to be available in Superdrug and I'm so happy I can now glow like a unicorn! I was looking for an Unicorn highlighter, While I was doing my make-up lesson I met my friend Luci there. I asked her suggestion, and she gift me this one! I really like this one. Well pigmented and looks really good. I use this highlighter for my day look and when I want to pop-out my makeup a bit! Also I gift one to my sister, it's good within affordable price.